Gold is rolling over. The impulsive intra-day decline from today’s 1345 high says that the trend has turned ahead of the confluence of long term resistance between 1350/1367. With the ADX at trend ending extremes, and daily momentum posting bearish divergences, target 1270, potentially long term triangle support at 1185. London copper fell sharply on Monday to its lowest in more than two weeks as worries about credit restrictions to China's huge property sector hurt the demand outlook for metals. Copper prices have traded in a $200 range for most of February, finishing last week little changed. But worries about curbs to property development soured sentiment on Monday and may act to contain demand for metals, said Ivan Szpakowski, China commodities strategist at Citi. China shares sank to a two-week low early on Monday, dragging Hong Kong markets down, led by property and banking counters as mainland news reports stoked fears that banks have stopped extending loans to property-related companies. "There appears to be new developments in that the banks are lending less, and some may have stopped lending for a limited amount of time to real estate developers, to companies providing raw materials for real estate development," said Szpakowski. Three-month copper on the London Metal Exchange <CMCU3> slid 1.2 percent to $7,073 a tonne by 0309 GMT. LME copper earlier in the day hit $7,055 a tonne, its lowest since Feb. 6. Average new home prices in China's 70 major cities rose 9.6 percent in January from a year earlier, easing from the previous month's 9.9 percent rise, according to Reuters calculations based on official data published on Monday. Tighter policies in China, the world's top metals user, and the United States have fanned concerns there will be less cheap liquidity on hand for industry and investors, compounding worries that stuttering growth in the world's top two economies could derail a global recovery. In the United States, severe cold weather and a shortage of houses on the market pushed home resales to an 18-month low in January, the latest indication economic activity has hit a soft patch. Sweeping reforms are urgently needed to boost productivity and lower barriers to trade if the world is to avoid a new era of slow growth and stubbornly high unemployment, the OECD warned on Friday. Prices could still climb, driven by technical buying, said Barclays in a research note. "Sizeable short positions have built in copper, zinc and nickel, leaving the market vulnerable to short-covering rallies and raising the prospect of big rises in reported inventories if metal is attracted on-warrant by tightening in time spreads." Selling spilled across to other metals. The most active lead contract in Shanghai hit a contract low of 13,910 yuan. 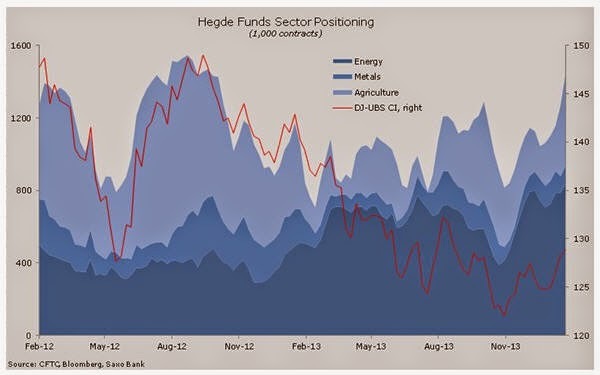 Copper is odd one out on this hedge fund positioning chart. "In just six weeks, the speculative net-long position across 24 major commodities has jumped by 28 percent. "Hedge funds were behind the curve at the beginning of the year and since then, they have been an important driver of the current rally. Adam Low of Raymond James believes that the outlook is excellent for zinc, good for copper and neutral for iron ore. In this interview with The Gold Report, he argues that it comes down to supply and demand. Copper supply may soon lag demand, and zinc demand, which is increasing steadily, will soon face a 10% decline in supply. 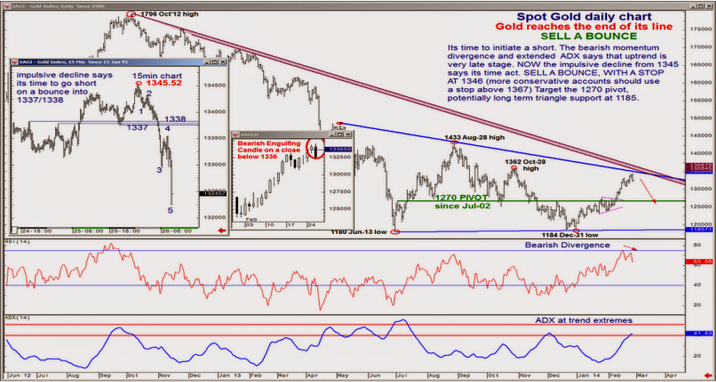 The Gold Report: Your 2014 prognosis for industrial metals is largely positive, correct? Adam Low: Yes, although our view is not universal. We are most positive on copper and zinc, somewhat less enthusiastic about nickel. We're fairly neutral on iron ore, although we do expect a bit of softening in iron ore prices. TGR: Why do you like zinc? AL: We are starting to see fundamental changes occurring in the market. This is a supply story. Zinc has been an unloved metal for decades. As a result, there has been very little investment, which means that six major mines in operation for decades have or will soon end production. The first two, in Canada, closed in 2013. The next major shut down, scheduled for mid-2015, is MMG Inc.'s (1208:HK) Century mine in Australia, the world's second-largest zinc mine. TGR: How much global supply will be lost as a result? TGR: So prices will rise? AL: Yes. Visible inventories on the London Metals Exchange, as well as on the Shanghai Futures Exchange, are down about 30% over the last year. And zinc demand is increasing steadily. There are some suggestions that we have a small zinc deficit already. TGR: What are the supply and demand fundamentals in copper? AL: I'd characterize the copper market as being infected with "short-termism." Mine supply grew quite spectacularly in 2013: between 6% and 7%. How sustainable is that growth? In a couple of years, we could easily have the same problem we had a decade ago, when mine supply lagged behind demand. TGR: Why would this happen? AL: One-third of global copper supply comes from Chile. This country is increasingly constrained by power and water supplies; labor rates are rising as well. Chile's state-owned copper enterprise, the Corporación Nacional del Cobre de Chile (CODELCO), produces about one-tenth of global copper, and it requires something on the order of $20–27 billion ($20–27B) in reinvestment over the next five or six years in order to maintain both current production and grow its production base. That will be quite difficult. TGR: Why are you less enthusiastic about nickel? AL: In the long term, we remain skeptical about that market. Indonesia, one of the world's largest nickel miners, has implemented a ban on exports of raw ore, which curtailed a major source of global supply. Nevertheless, nickel has abundant visible inventories. It also has growing supply from long-beleaguered laterite projects now finally coming to fruition: Ambatovy, Koniambo and Onça Puma. TGR: Why are iron ore prices softening? AL: We expect supply growth from mines to outweigh demand growth, particularly as major mines start up in Australia and Brazil. At current prices, the industry is making phenomenal margins, more than 100%. At lower prices, companies at the high end of the cost curve will struggle, but the others should continue to do very well. 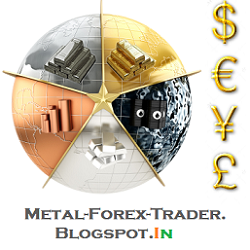 TGR: To what extent are higher base metal prices dependent on positive global economic news? AL: Growth is a key factor. The U.S. economy appears to have improved, although I'm a little bit skeptical about just how robust or sustainable this growth is, especially now that the Federal Reserve has decided to reduce its bond buying. TGR: How do you view the short-term economic prospects of China and Europe? AL: In Europe, the latest purchasing manufacturers' index is at its best since 2011. We are beginning to see some resurgence from some of the weakest economies, such as Greece. And Germany still looks good. Even so, I don't think we can count on Europe being the key driver for world economic growth quite yet. AL: China is still growing and from a larger base. So while its relative growth may be less impressive than it was, its absolute growth is still quite extraordinary. Any industrialized Western nation would be incredibly envious of "only" 6–7% GDP growth per year. TGR: There is a growing concern that the equities markets are overheated, particularly with the Fed tapering quantitative easing. If there is a significant correction, will base metals equities follow suit, or could we see instead a flight to safety in metals? AL: If there is a significant correction, we could see base metals equities follow suit, even though they didn't enjoy the upside the rest of the market did. In the longer term, the widening gap between the growing demand and the dwindling supply of many base metals should spark a resurgence of investor interest in this sector. TGR: Will base metals equities continue to lag prices in 2014? AL: This trend should begin to correct. Base metals prices have been quite steady over the last year despite headlines that have generated fear and volatility. This steady price environment should provide investors with greater comfort about metals prices, which should, in turn, lead to greater confidence in investing in the equities. 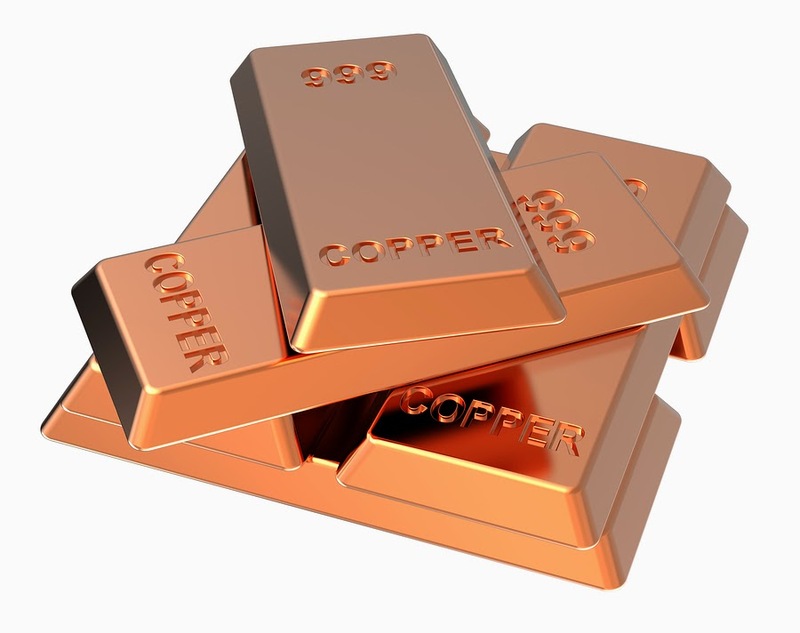 LME Copper price levels may reflect growing mine supply, production growth, global inventory. Copper inventory levels on the London Metal Exchange fell below 300,000 metric tons last week, the first time since December 2012, and canceled warrants remain close to highs of 60%, but this stock tightness does not seem to be reflected in prices, said Citi Bank. According to Citi, LME three-month prices are trading at around $7,200 a metric ton, versus mid-December 2012 prices of over $8,050. “Given that today’s macro environment is slightly more positive than late 2012, with clear signs of developed world recovery, although China hard landing concerns still persist, we believe current LME price levels reflect growing mine supply, expected refined production growth, and more importantly global inventory. Indeed, the LME price level is not reflecting the LME stock position, but appears to be making implicit assumptions about copper inventory elsewhere,” said David Wilson, analyst at Citi, via Kitco News. At a time when many of the world's major stock indices are showing signs of topping, the Shanghai Composite Index is poised to continue the decline it began in 2009. Although there is probably a long-term buying opportunity on the horizon, in the near term we expect opportunities for two or more short trades. In this article, we describe our primary scenario for that index, showing possible price targets and a rough time frame for a decline. 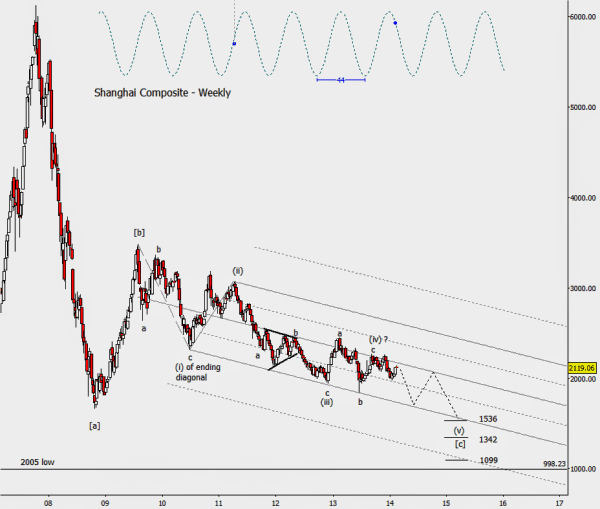 Readers interested in the alternate scenario, which is more bearish. The spectacular crash in the Shanghai index in 2007 and 2008 coincided with the decline in stock indices worldwide, and Shanghai also participated in the global stock rally from late 2008. However, while many other indices continued to advance after that time, Shanghai has taken a sideways-down path to visit prices not far from its 2008 low. We don't believe the decline is over. Traders working on a time frame of a few weeks may still find short trades from a continued series of lower highs, especially using the channel trendlines as a guide. Investors with a long-term perspective should watch for a buying opportunity sometime in late 2014 or 2015. We admit it was difficult to assign an Elliott wave count to the decline from 2009. There have been several overlapping moves, and many of the sub-moves have corrective patterns. The whole decline is best seen as a large, downward diagonal C-wave. The factor that crystallized the count for us was the index's good behavior within the modified Schiff channel shown on the weekly chart below. From the current price area, we expect the index to trace out a final three-wave move downward into support. If it stays within the channel, then 1,536 is an attractive target. However, 1,342 and 1,099 are also viable. In any case, if this scenario comes to pass, price probably will remain above the index's 2005 low of 998.23. Another thing to watch for confirmation of this scenario is the index's behavior in the near-term with respect to the midline of the channel. Price should be entering the down-phase of the 44-week empirical cycle. 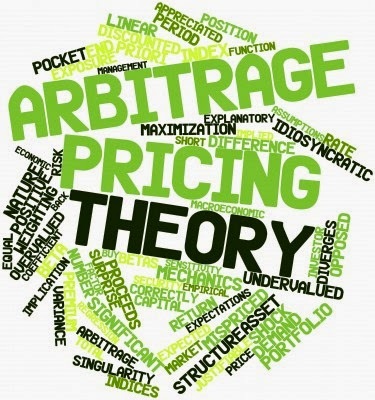 The primary scenario would be called into question if price rises very far above the midline, and certainly if it exceeds the prior high labeled as "a" of "(iv)". At that point, the alternate scenario would probably move to the fore, and we might also consider that a cycle inversion had occurred. A new report citing a senior government official says India may cut its gold import duty to between 6% and 8% before the end of February. India's finance ministry, fighting a crippling current account deficit and a weakening currency pushed up gold import duties tenfold – from 1% at the start of 2012 to 10% today. WSJ.com reports the government is now considering reducing the import tax "as the current-account deficit is estimated to have fallen by almost half to around $45 billion this financial year ending March 31 from $88 billion last year. Other measures including excise duties at 9% and new rules such as strictly cash only for imports, a rule that calls for the re-export of 20% of all imports, transaction taxes and even bans on gold-backed exchange traded fund investments have all stymied India's gold industry. 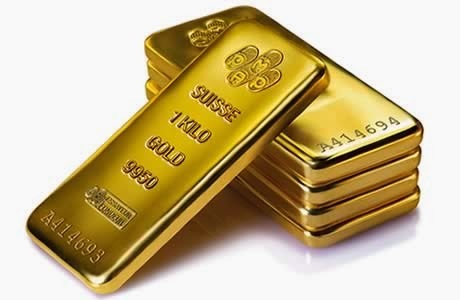 But the government import restrictions have led to a scarcity of physical gold inside the country which increased smuggling activity and sent premiums paid over the London price to rocket to as much as $130 an ounce during the gold festivals and wedding season. Despite the curbs Indian consumption still rose by more than 100 tonnes to 975 tonnes last year while according to some estimates "unofficial imports" almost doubled. The gold trade employ three million Indians and according to polls India's ruling Congress party is facing defeat at June's general elections. World’s largest aluminum company-Rusal reported a drastic drop in its aluminum output during 2013. The company’s aluminum production touched record lows during the year. The total yearly aluminum production amounted to 3.86 million mt. Further, Rusal sees the output to drop further to 3.5 million mt during 2014. The aluminum output during 2013 declined by nearly 8% over the year, when compared with the total output of 4.17 million mt in 2012. According to Oleg Deripaska, CEO, Rusal, the company has been successful in implementing the production-cut plans as scheduled. He further stated that the reduced operational levels are expected to be sustained throughout 2014 as well. Rusal's total aluminum production capacity is 4.5 million mt/year across 14 plants worldwide. Of these 14 aluminum smelters, 12 have cut output year on year in 2013 anywhere from 5% to 90%. The exceptions were the Bratsk and Krasnoyarsk smelters in Siberia, the two largest production units with a capacity of 1 million mt/year each. These two smelters posted 0.2-0.7% output increases in 2013. Rusal forecasts global aluminum consumption growth of 6% in 2014 over 2013. According to the company, China and other Asian economies are expected to grow strongly and the developed markets including the US and Europe should continue to show a healthy growth. Also, ex-China aluminium market deficit will grow from 570 thousand tonnes in 2013 to about 1.4 million tonnes in 2014. 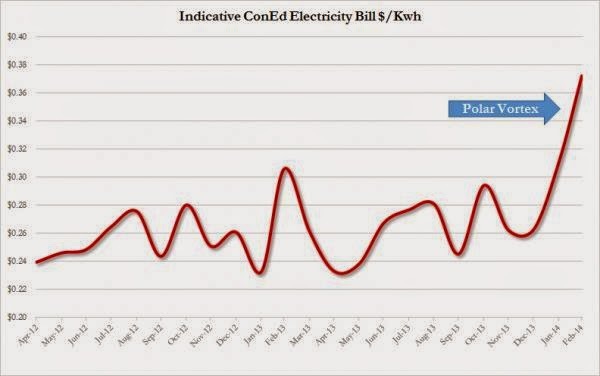 The "polar vortex" shock has arrived, only this time it is not in the form of another 12 inches of overnight snow accumulation but in the shape of household utility bills. A reader was kind enough to send us his just received ConEd bill for the month ended Februery 10. The result speaks for itself. It also speaks for where so much of US household disposable income will go in first quarter. Russian giant Rusal expects its aluminum output to decline further to 3.5 million metric tons this year. Company's aluminum production declined by 8% year-on-year 3.86 million metric tons last year, the lowest output since its 2007 merger with Sual. “Last year witnessed the supply side adopting a disciplined approach to production, with Rusal successfully completing its production cut program which resulted in cuts of 316,000 mt, or 8%, compared to 2012. Reduced operational levels are expected to be sustained throughout 2014 as Rusal remains at the forefront of creating an efficient supply side dynamic,” said Rusal CEO Oleg Deripaska, in a statement on Tuesday. The full impact of the production cuts, backed by growing consumption demand, have begun to be take effect, with the aluminum market – ex - China – moving into deficit at the end of 2013. This deficit is estimated to expand further in 2014. Looking ahead, RUSAL expects global demand to remain healthy, with 6% growth forecast in 2014, supported by positive signals of returning confidence across all key sectors and markets. While demand fundamentals remain robust, it is vital that the supply side continues its disciplined approach to production. This will take time but there is no doubt that the industry is on the right path towards environmentally friendly and economically efficient production. The company's aluminum production was the highest in 2008 at 4.42 million metric tons. 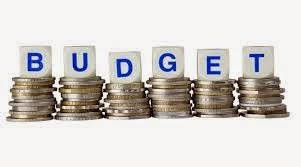 Finance Minister P. Chidambaram presented the interim budget for the fiscal year 2014/15 on Monday to cover expenditure until the government's term ends in May. His speech was repeatedly disrupted by protests over the proposed division of Andhra Pradesh. * Food subsidy estimated at 1.15 trillion rupees, fertiliser subsidy at 679.71 billion rupees. Petroleum subsidy seen at 634.27 billion rupees versus revised figure of 854.8 billion rupees for 2013/14. * Merchandise exports seen at $326 billion in 2013/14, up 6.3 percent year on year. Our objectives were fiscal consolidation, reviving growth cycle, and enhancing manufacturing, said Chidambaram. Manufacturing needed an immediate boost, he said. I can confidently assert that the fiscal deficit is declining, the current account deficit is constrained, inflation is moderated; exchange rate is stable, he said.